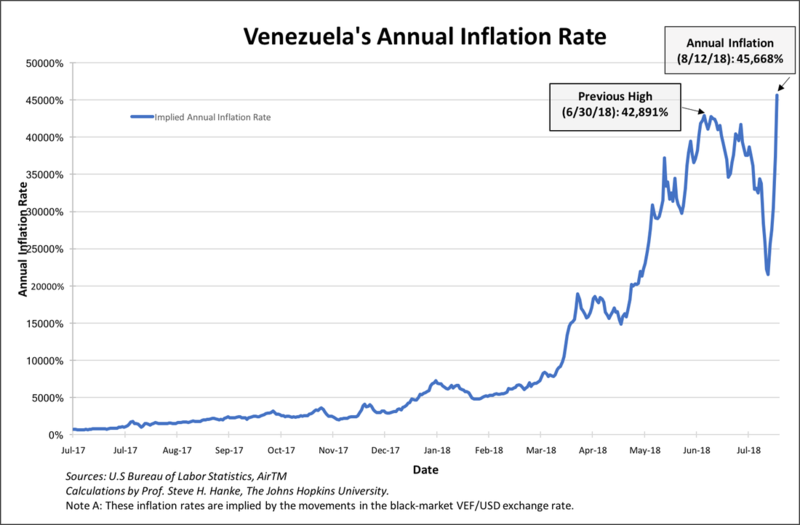 It hyperinflation hit in the US, it would be the direct result of the loss of faith in the dollar, which means these kinds of prices are exactly what could occur. Look what would happen to the dollar’s purchasing power: a nest egg of $10,000 wouldn’t buy you more than a nice lunch. 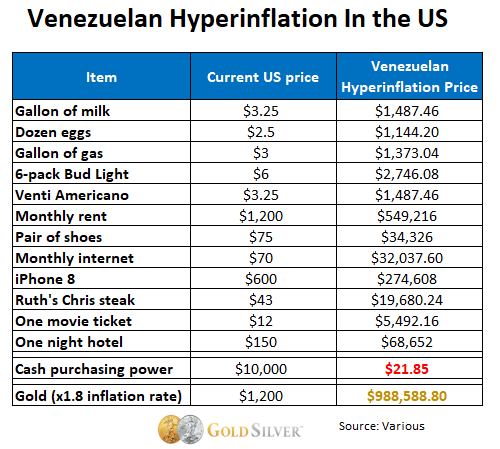 Hyperinflation is an extreme example, so what is we just get “high” inflation? 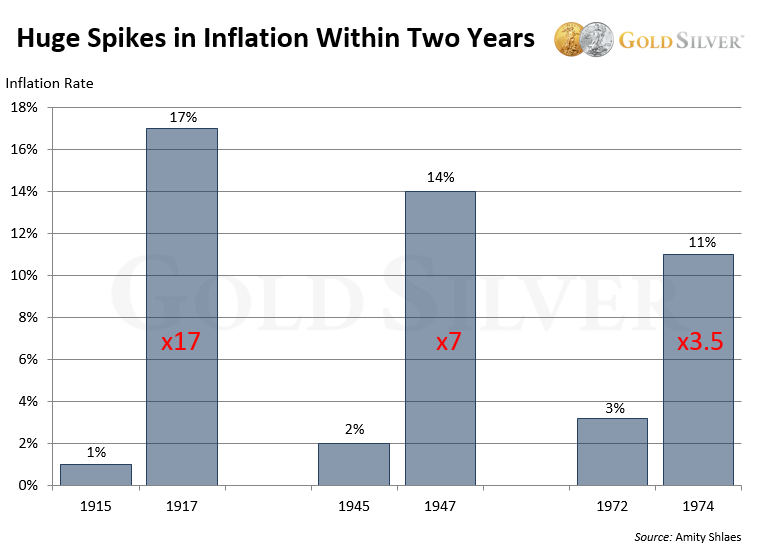 The official inflation rate in 1945 was 2%, but surged 7-fold to 14% within a mere 24 months. The CPI registered 3.2% in 1972, but hit 11% by 1974 (and didn’t stop till it peaked at 14.7% in April 1980). 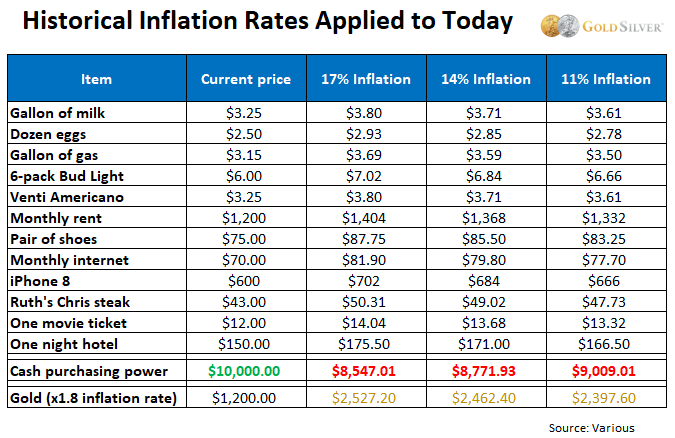 In contrast, if gold outperformed inflation by 1.8 times, your buying power would actually increase above and beyond the rate of inflation. In the midst of the cold, hard reality of inflation, you would actually be able to continue your same lifestyle if you had enough gold.